Science has allowed the Jewish people to confirm what they always suspected: that biblical stories have basis in science and that there is indeed something passed from Aaron, brother of Moses, to his male descendants that makes them identifiable through genetic testing. Since the Bible states that the male descendants of Aaron are "priests of Israel," it is one of those select men who is slated to preside over the Third Temple as "High Priest." Since the Al-Aqsa Mosque currently stands where the Second Temple stood, this means that hardline Jewish groups feel that Islam needs to be kicked out of Jerusalem even if it ushers in the end of times. 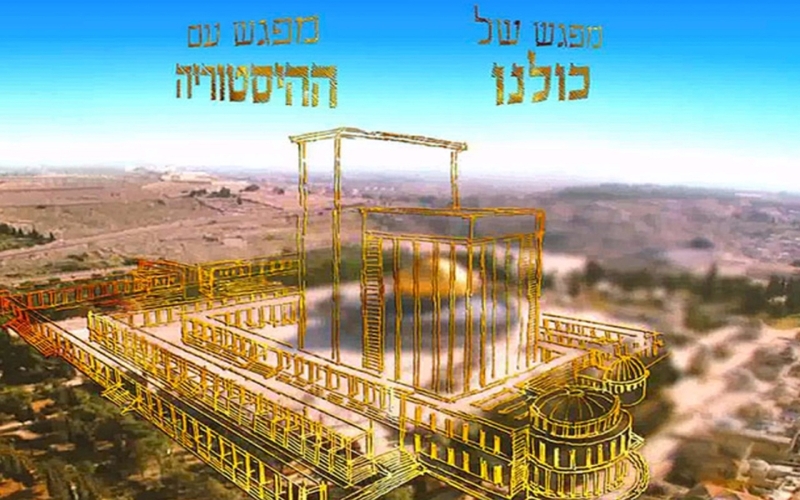 A man prepared to make the sacrifices necessary to build the Third Temple walks the earth, and recent political events hint at this future High Priest of Israel becoming aware that now is the time to attempt a mission that will rival the Crusades. President Barack Obama's decision to abandon Israel in the United Nations and the recent persecution of Prime Minister Benjamin Netanyahu by Israeli prosecutors drunk on globalism signals that the elite want to set off a civil war in the Holy Land that will take away Jordanian control of the Al-Aqsa Mosque and put it in the hands of the most powerful Jewish faction that emerges from the ashes of the chaos. President Obama discarded Israel at a time when the war against the Islamic State is slated to take an unpredictable course, with the transfer of power to President-elect Donald Trump, and the recent advances made by international forces as they approach the terror capital of Raqqa, where resistance may involve the heavy use of weapons of mass destruction. The Islamic State has been busy working on the development of chemical weapons, and Israeli recalcitrance in the United Nations combined with the ascent of a tough-on-Islamic-terror president in Washington represents the most opportune time for the proto-state to strike at its mortal Jewish foe when it pertains to public perception. The Jewish people will not take very well to a chemical weapons attack, as it could awaken memories of the Holocaust which will require whoever is in charge of Israel's nuclear weapons to send a message to the world about such a thing never happening again. Although a nuclear strike on Raqqa is a military option that, if carried out by the United States after the Islamic State has been cornered by the international community, could neutralize the group, such an attack against a Muslim city by the Jewish state will only lead to a swelling in numbers for the would-be Caliphate; and that may just be the intended goal. The men who write the treaties that end great wars do so knowing full well that they can plan the next war with the partitions they write into the map. 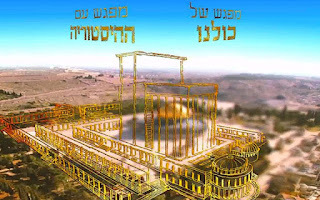 The First and the Second Temple were similar to World War I and World War II: mere precursors to the third. The collapse of Israel will mean that what's coming will be truly global and bloody on a scale the likes of which only the Old Testament has described. A direct, male descendant of Aaron now has in his hands the power to destroy the world, and all he has to do is successfully occupy the Al-Aqsa Mosque.